Boarding is the key to our continued success. The School has a culture that stimulates and inspires throughout the day, seven days a week, empowering girls to achieve their best, academically and socially. In our happy and close community, each girl is known, and cherished, as an individual. Consequently every girl’s potential, whatever that might be, is explored and fulfilled. Girls learn to be independent, to value and support others, and to develop the skills needed for future challenges in a global workplace. Given the nature of boarding life, girls are able to enjoy a wealth of co-curricular opportunities. Each and every girl carves out a unique learning path according to her interests and has the space to thrive within our magnificent grounds. 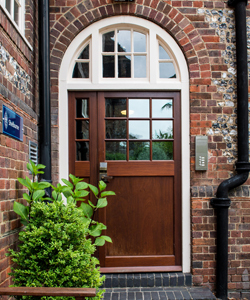 Wycombe Abbey’s approach to boarding is sympathetic to the needs of today’s families. Girls have the opportunity to go home regularly and parents are actively involved in the numerous School events and activities. Set in 170 acres of magnificent, conservation-listed grounds, the Capability Brown designed landscape offers a site that is safe, protected and an oasis of calm. 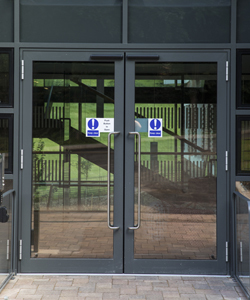 Modern, state-of-the-art facilities include the Sports Centre with a 25-metre indoor pool, the Performing Arts Centre with theatre and recital hall, dance and fitness studios, and extensive sports pitches. There are a number of whole school spaces including the Chapel, School Hall and the theatre. Shops, cinemas and other leisure facilities are a stroll away in the town of High Wycombe. 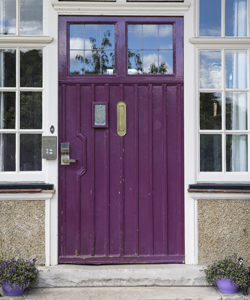 A girl’s House is part of her identity while she is at Wycombe Abbey. Between the ages of 12 and 16, girls live in mixed-aged bedrooms, developing friendships across the years. 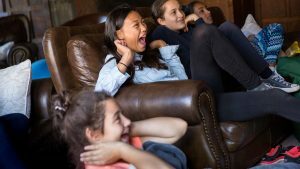 Older girls encourage and support their younger housemates. 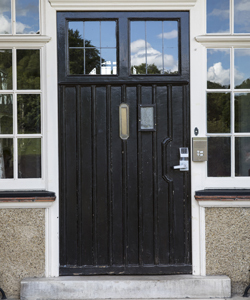 Girls joining the School at 11+ spend a year in Junior House, before moving into one of nine Senior Houses. 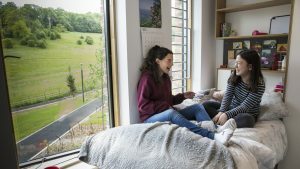 In their final year, girls move into the standalone Clarence House where they are able to enjoy more independence in preparation for university. 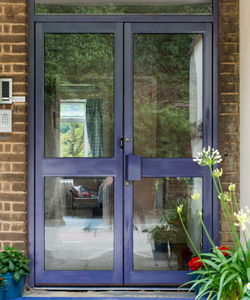 All Houses are led by a dedicated and professional team. Each Housemistress works alongside the Assistant Housemistress, Pastoral Assistant, Housekeeper and tutor team supporting each girl’s academic, personal and social development. Designed to help new boarders settle in and quickly find their feet. Plans are currently being made to relocate Junior House to the newly refurbished Abbey building. Airlie is named after Lady Airlie (1830 - 1921) who was described by Alfred, Lord Tennyson as ‘the most intelligent woman’ he knew. A member of the School's founding Council, she was essential in the early development of Wycombe Abbey. Barry is named after Sir John Wolfe Barry (1836 - 1918), an eminent architect and engineer who received a knighthood for designing Tower Bridge. A member of the School's founding Council, he was a passionate advocate for girls’ education and instrumental in raising the funds for the construction of Barry and the other Outhouses. Butler is named after Henry Montagu Butler (1833 - 1918), a Master of Trinity College, Cambridge and Headmaster of Harrow for 26 years. As the founding President of Wycombe Abbey, his modern ideas and vast educational knowledge helped secure Wycombe Abbey’s reputation as a pioneering girls’ school. Campbell is named after Professor Lewis Campbell (1830 - 1908), a Professor of Greek at St Andrew’s University for 29 years. As a strong supporter of female education, he became the first Chairman of the School Council. The first Lord Carrington brought in James Wyatt, the foremost architect of the day, to redesign Wycombe Abbey. He captured the spirit of the age, transforming the old manor house into a neo-Gothic jewel, adding turrets, the cloister and battlements. Cloister is named after this architectural heritage. William Pitt, Britain’s youngest ever Prime Minister, stayed at Wycombe Abbey as a guest of the first Lord Carrington. To mark such a guest, the House occupying the House Study in which he stayed became Pitt. The second Lord Carrington furnished the Abbey with treasures from his world travels. It is likely that he purchased the picture by Peter Paul Rubens that hung in the entrance hall. The artwork has disappeared without a trace but the name of the artist has left a legacy in the name of this House. Shelburne is named after William, Earl of Shelburne (1737 - 1805), who lived in Loakes Manor, the original name for the Abbey. A respected politician, he became Prime Minister, and was instrumental in bringing the American War of Independence to an end. He transformed the grounds and landscape. Wendover is named after Viscount Wendover, the only son and heir of the third Lord Carrington. A keen cricketer, he grew up in Daws Hill, where he hosted the future Edward VIII at a match. He won the Victoria Cross for his bravery in World War One, tragically dying a few days later after being struck by shrapnel. Clarence House is named after Prince Albert, Duke of Clarence (1864 - 1892), the eldest son of Edward VII. Prince Eddy, as he was known, visited Wycombe Abbey as a great friend of the third Lord Carrington. Wycombe Abbey’s approach to boarding is sympathetic to the wishes of modern families. Each term includes two Short Leaves (three day exeats) and one Long Leave (Half Term). All girls return to their parents or guardians during these times. Long Leave holidays are around seven to ten days in length. During the rest of term, girls are allowed to spend a number of additional weekends at home. We also allocate two weekends a term as ‘Closed Weekends’, where all girls stay in School and contribute to the creation of community through whole school events, activities and trips. Ensuring girls know their voice is heard is particularly important in a boarding community. Girls are actively involved at all levels of Wycombe Abbey life. In House they meet twice a week for House Order where they can share ideas and are updated on news. At the whole school level, the Head Girl and Prefects regularly engage with the Executive Leadership Team and have weekly breakfast meetings with the Headmistress. Every year group also elects a representative to the School Council which helps to shape new initiatives. 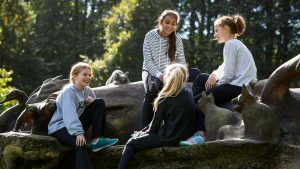 Wellbeing at Wycombe Abbey is centred on the needs of the girls. Our boarding environment nurtures the girls to: be flexible and creative; think critically and communicate ideas; work alone and in a team; respect themselves and others. Our dedicated house staff get to know each girl in their care, helping her to flourish and to feel confident and secure. The main point of contact for parents is the Housemistress, who is supported by the Assistant Housemistress and the Pastoral Assistant. 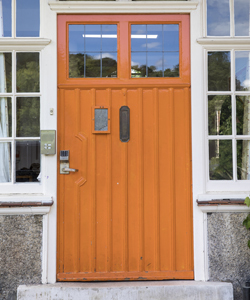 The Housemistress and Assistant Housemistress are members of the teaching staff; this dual role ensures excellent understanding and communication in all matters concerning the girls. All house staff are supported by the Head of Boarding, Allison Spillman. Strong friendships exist across year groups. 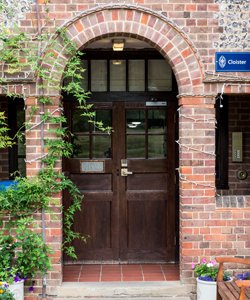 At Wycombe Abbey the boarding is organised so that the girls sleep in mixed-age bedrooms. The girls also have ‘House Mothers’ who mentor them through their time at the School. 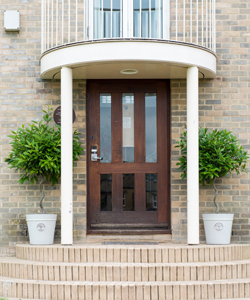 The ‘House Mother/Daughter’ tradition means that every girl in a Senior House is part of a ‘family tree’ of girls who feel connected, look out for each other, and offer advice and a listening ear. Our Health and Wellbeing Centre provides a high standard of care for all girls seven days a week, 24 hours a day. Throughout the day and night, at least one nurse is on duty at all times. The school doctor is available to see girls four times a week. A physiotherapist visits several times a week. 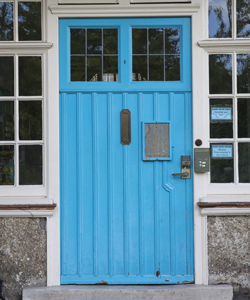 The School offers professional counselling support. Our counsellors work closely with the House staff and teachers to ensure that care is available to girls on an individual level or in groups. There is a strong sense of community within the School as well as an appreciation for traditional values and a respect for all faiths and backgrounds. Wycombe Abbey was founded as a Church of England School and Dame Frances Dove’s aims for the School, to develop each pupil’s talents and foster an awareness of God and an understanding of the needs of others, remain cornerstones of our life together both in Chapel and across the wider curriculum and co-curricular activities. 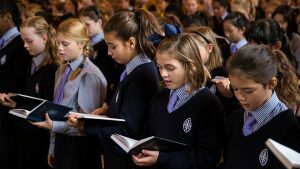 Chapel provides a spiritual element to the girls’ wellbeing both as a physical location, where girls know they can come to be quiet, think or pray in the course of the day or evening, and also as a source of spiritual teaching. The whole school meets in the Chapel four times a week for a short service led by the Chaplain or visiting preachers. The girls themselves also lead services regularly as a house group or society. The Chaplain is keen to support those of all religious traditions who wish to explore their faith. 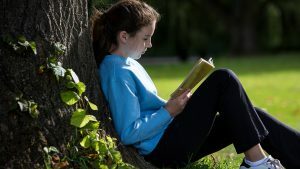 There are opportunities for girls to do this on a structured basis, including Anglican Confirmation, the Catholic Society, the ecumenical Christian Union, Jewish instruction and the Islamic Society. She is available to discuss any matters of concern, irrespective of a pupil’s personal faith and not only regarding spiritual issues. 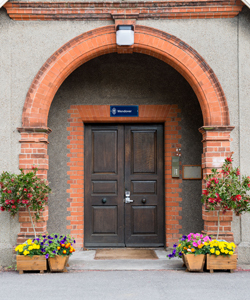 At Wycombe Abbey, supporting the community, whether global or closer to home, is an intrinsic part of School life. ‘Give Back’ is our charity initiative which encompasses all our charitable activity. Some of the charities we support have been with us since the School’s foundation in 1896, while others are chosen each year by the girls themselves. Eating healthily is particularly important in a busy boarding environment. The girls live life to the full and need the energy and satisfaction that comes from a varied, tasty and nutritious diet. Our food is attractively presented with a wide range of options throughout the day, and those with special dietary requirements are catered for at every meal. Girls learn about healthy eating habits in the Wellbeing curriculum, and the PE department and Health and Wellbeing Centre advise on sports nutrition. Our Food Committee provides an opportunity for girls to discuss catering arrangements and to feed back on the most or least popular dishes. The dining hall was recently refurbished with a contemporary look. Our new café, The Courtyard, is open throughout the day and is a space where girls can eat, work, socialise and entertain parents and visitors. Houses located further away from the main school have dedicated facilities. Cloister, Shelburne and Wendover girls enjoy their own dining room where they eat breakfast and supper; at weekends Junior House has a chef who prepares meals for them in the House. In UVI, girls can choose whether they wish to cook for themselves in their House kitchens or eat at The Courtyard. Every day at break and tea time girls gather in their Houses or in the dining room for home-baked treats and snacks. Tutors share meal times with the girls as much as possible – ‘Tutor Teas’ are always popular. Older girls regularly participate in more formal lunches and suppers with visiting speakers. 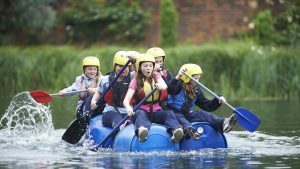 Fun and relaxation is at the heart of the balanced lifestyle that Wycombe Abbey provides. We offer a wide range of activities to suit every girl’s interests – and also the space to give the girls time to relax, switch off and have quality time to themselves. Every week there are informal activities such as DVD nights, birthday celebrations and smoothie making. The younger years have ‘Early Beds’ a few nights a week where they spend time before bed with a member of house staff to reflect on the day and enjoy hot chocolate. Each House also has many fun events like ‘Dorm Feasts’ and House outings to the cinema, restaurants and boat trips throughout the term. The many House competitions develop a vibrant House spirit. Girls learn how to work as a team, overcome differences, develop resilience and ultimately deepen friendships. 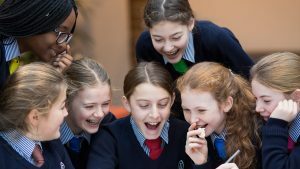 There’s an inter-house competition for every girl, whether it is the sporting competitions at the end of each term, the music competition, the spelling bee, the debating competition or the Inter-House cup stacking challenge. The LIV Guy competition for our annual bonfire night is especially popular, as is our UIV inter-house dance competition. Perhaps most popular of all is the LV play competition where the girls are given a theme, and take responsibility for devising the set, producing, directing and marketing. Two weekends a term are ‘Closed Weekends’ (when girls stay at School) and special events are organised for the whole school community. These have ranged from ice-skating with an ice rink brought on site, a picnic and funfair for the Queen’s 90th Birthday, to outings to the pantomime. Every weekend is packed with leisure opportunities for the girls to relax and enjoy life with their friends. Almost all the activities are included in the school fees and there is plenty of choice for each age group, both on and off site. Some of our recent weekend activities have included: Zumba classes, Spa days, trips to Thorpe Park, the Warner Bros and Harry Potter Studio Tour, skiing at the Snow Zone, shopping trips to London, punting in Oxford and orienteering in the countryside. Socials are an integral part of life at Wycombe Abbey and we have well-established links with Eton College, Radley College, Winchester School, Harrow School and the Royal Grammar School, High Wycombe. Dinner parties, discos and informal ceilidhs are regular events. Yearly highlights include the Burns’ Night Ball organised by our Caledonian Society with Eton College and the Spring Ball with the Royal Grammar School, both wonderfully formal yet fun events. Wycombe Abbey wants parents to feel part of our School life. There are many whole school activities for parents and extended families to enjoy together with the girls. Annual highlights include bonfire night with fireworks to music, and Dove Day, which incorporates an athletics competition, marquees for picnic lunches by House group, summer concerts and entertaining activities. Parents are invited to attend the Lecture Series curated by the Headmistress, and join us to watch termly concerts, plays, dance shows and weekly sports fixtures, both on and off site. Throughout the year parents and girls are invited to black tie House Dinners, drinks receptions and summer BBQs held in the School grounds.